I’ve worked with Kurt Geiger since 2010 developing their digital assets. 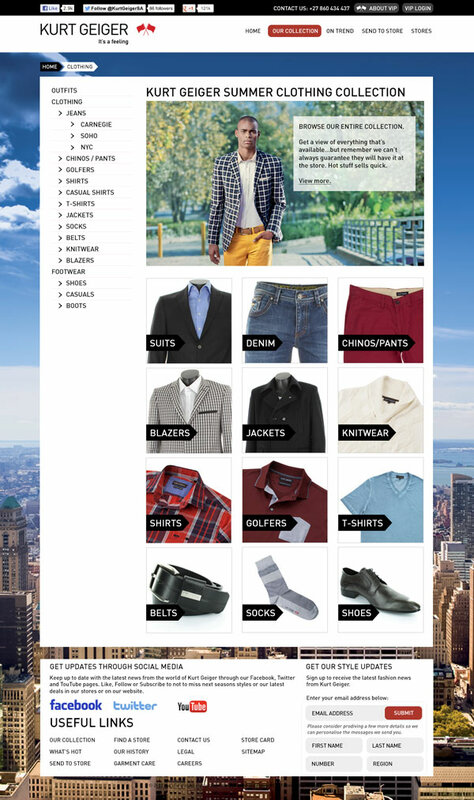 This design is the 4th iteration of the Magento eCommerce website for their 2013 Summer Collection launch. 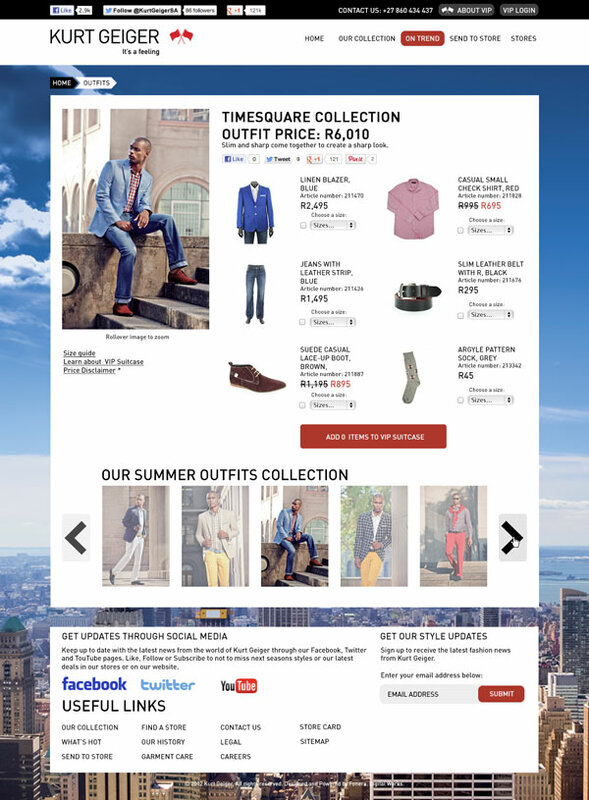 This seasons design was iterative and meant to polish and improve on various user experience elements of the site and introduce the new seasonal feel.